In the Historical Garden we have six beehives, and each has a different shape, to illustrate the development of beekeeping. When visiting our garden, remember to look over the door into the room where the Cape honeybees create their space between almond trees. 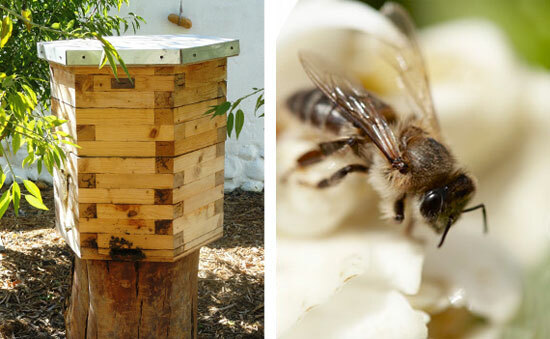 The Cape has its own unique honey bee Apis mellifera capensis, specially adapted to the indigenous Fynbos vegetation. This is a tough, energetic little bee that produces beautiful honey, well worth the effort it puts into guarding it from humans. 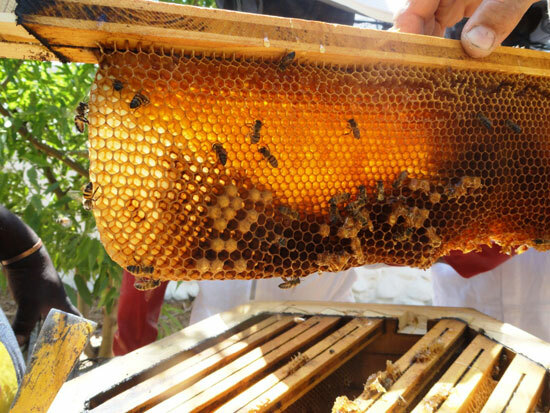 The abundance of Summertime means that we can collect honey from our hives without depriving the queen and her swarm of enough sweet treasure for their needs. 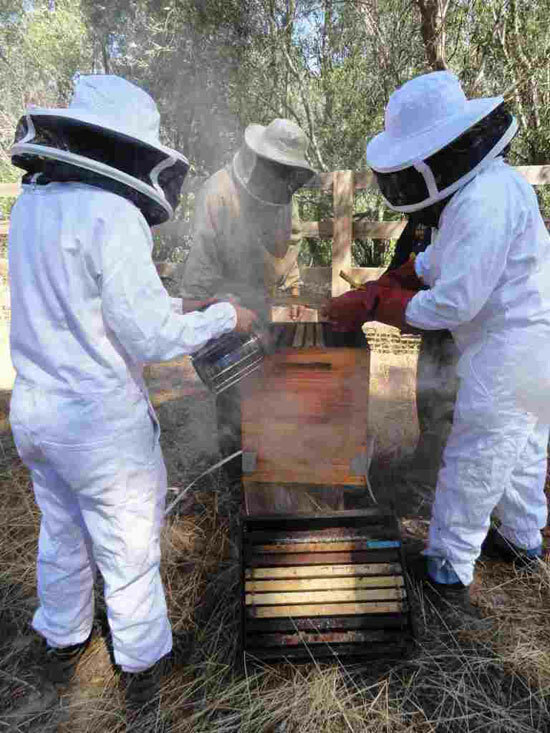 It is an fascinating experience opening the hives – once the bees have been calmed with smoke – lifting the frames and cutting out the full combs dripping with honey. 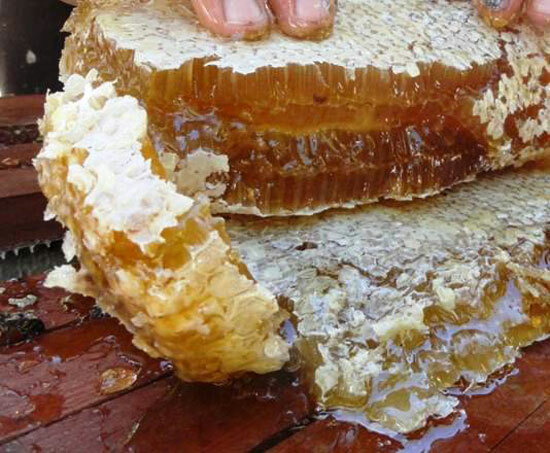 We use the honey at Babel for guests to feast on, and when it’s particularly abundant, we sell it in our farm shop, too. We hope you have the opportunity of enjoying some with us this Summer.